Guest blog courtesy of Giles Babbidge – a commercial and editorial photographer & writer specialising in the outdoor markets. You can find out more about what he does over at his behind-the-scenes website – www.theactivephotographer.com – or catch up with him on Twitter – @gilesbabbidge. TechWash is one of those products which I have come to view as a standard item in my kit cupboard. Some might question why – surely it’s just a maintenance product? – but actually, therein lies the point. Time and time again, the old adage rings true – look after your kit and your kit will look after you. 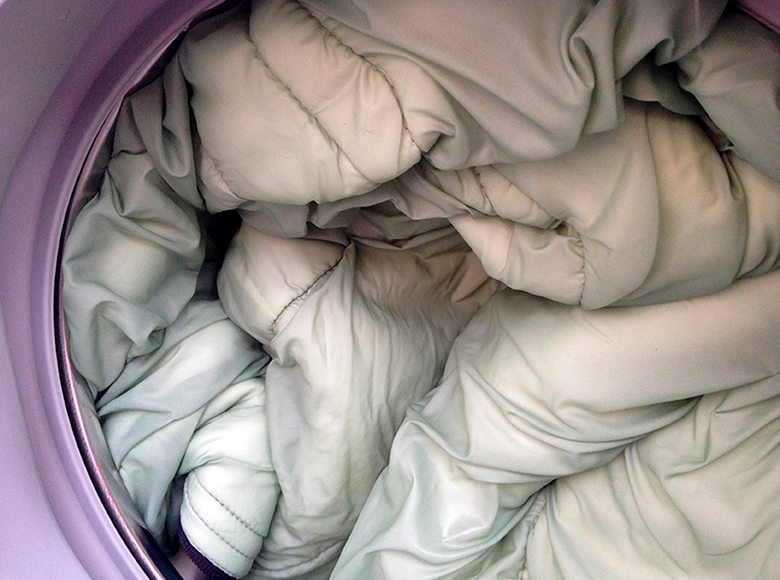 Ahead of my winter 2014/15 camping activities, I knew that certain items could do with a spot of TLC. 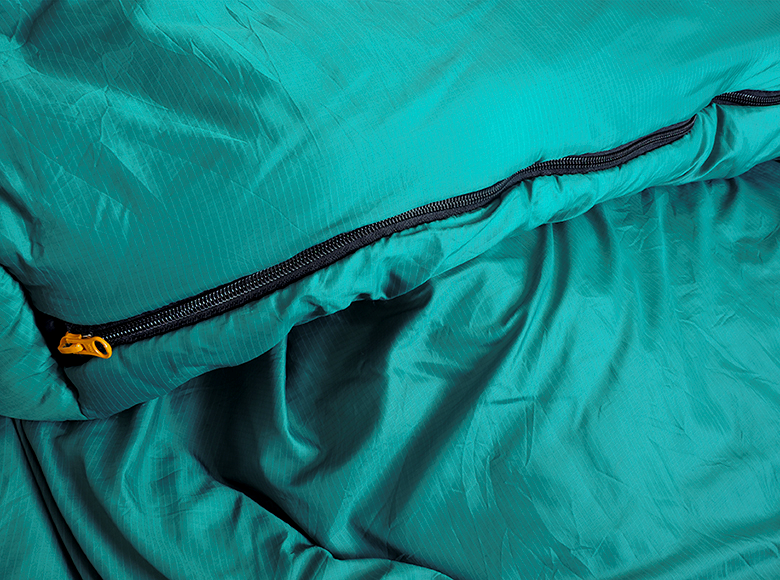 In particular, there was one main culprit lurking on the list – my trusty 20-year-old Ajungilak synthetic winter sleeping bag. What better way to see how TechWash really performs, I thought, than setting it to task here? Now, don’t get me wrong – the bag wasn’t full of fleas(!) or looking like it had never been cared for in its long life. Just general wear and tear, but it was certainly overdue a spring clean. One Sunday, I put aside a morning to complete the process. Following the bag’s care instructions (wash at 60 degrees, rinse several times, spin and tumble dry), I added 150ml of TechWash. For 1-2 items of kit, this amount is recommended for medium/hard water areas; in soft water areas, you’ll want 100ml. So how did it come out? Was it a success or was the passing of time just too much of an adversary? Well, I kid you not – the results were so good that I would gladly say the bag looked as close to new is it could do, given its age. The sort of dirt you would expect a sleeping bag to pick up through typical use seemingly vanished and in particular, the renewed loft (or ‘fluffiness’) was incredible! Seriously, the pictures you see here don’t do it justice. And that’s the important bit, of course. As many of you will know, loft = insulation = warm, comfortable nights spent under the stars in the great outdoors. Naturally, the real proof of the pudding was always going to be taking it out into the field during a ‘real world’ situation. And so, the first big test was a wild camp/photography trip to Snowdonia, during which I was shooting publicity pictures and bedding down on the snow at night. If you’re interested in hearing more, you might like this edition of my podcast, in which I gave an overview of the trip. 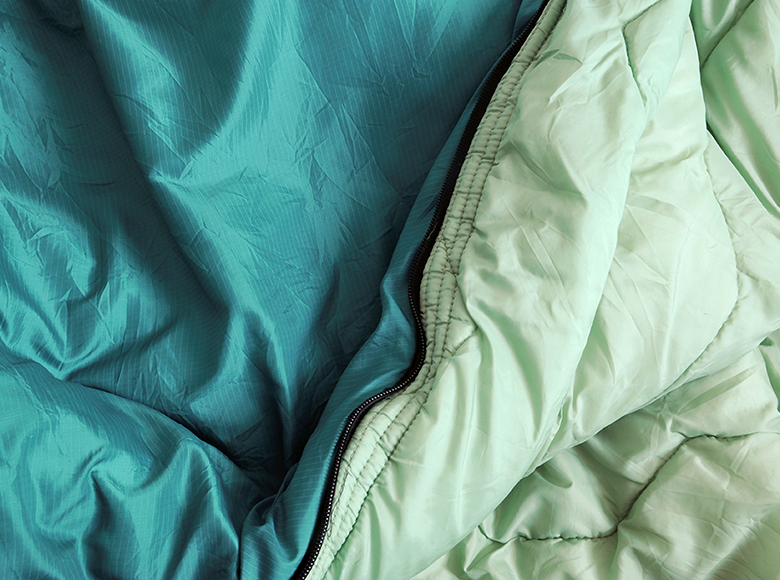 Sure enough, I went to sleep each night with a wry smile on my face; my sleeping bag worked like a treat, and I’m convinced the comfort level was noticeably improved by its recent Nikwax treatment. 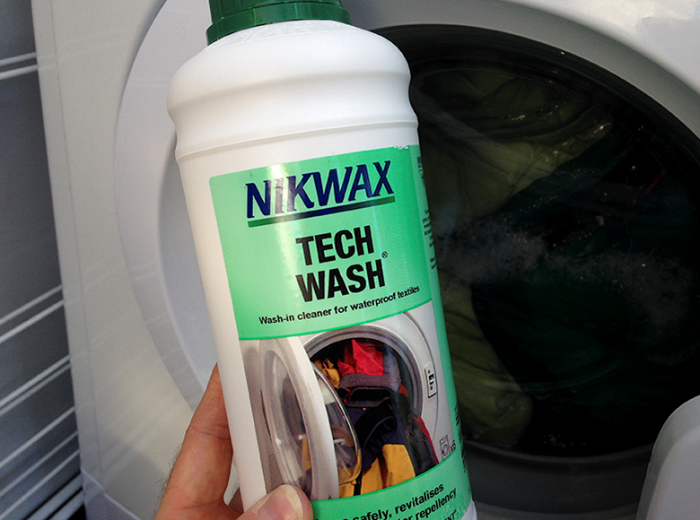 TechWash is ideally suited to revitalising the breathability and water repellency of waterproof gear, including clothes and rucksacks, and certainly as a go-to general purpose cleaning agent, I’ve found it does a fantastic job. If you read the Nikwax Blog regularly, you might remember how I also used it ahead of waterproofing some fleeces with Polar Proof; that article can be found here.